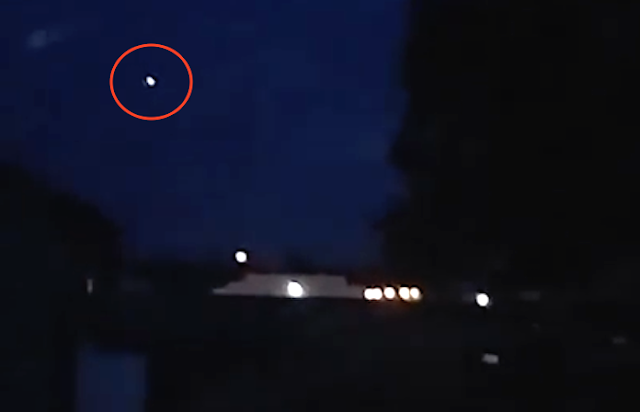 UFO SIGHTINGS DAILY: UFO Returns To Clovis, California On May 5, 2016, Video, UFO Sighting News. UFO Returns To Clovis, California On May 5, 2016, Video, UFO Sighting News. This glowing UFO was seen today and fortunately for us, an eyewitness got some footage for us. Its short, but it does show a UFO in the sky that suddenly becomes bright, then dims. It repeats this several times before flying away. Its also interesting to note, she caught the same UFO over Clovis on March 8, 2016 (video at bottom of post).